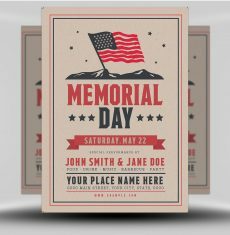 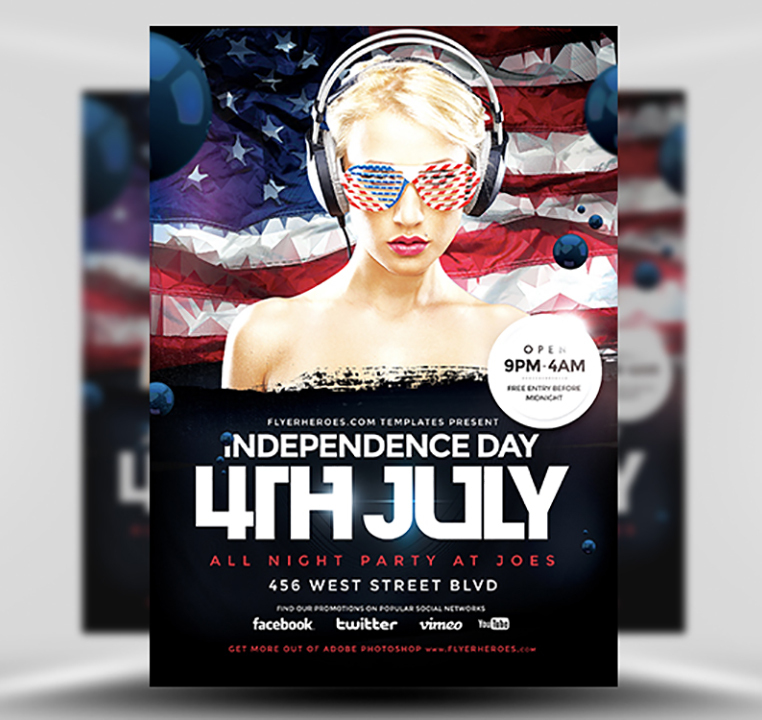 This clutter-free 4th July Flyer design boasts a geometrically textured American flag as it’s main focal point. 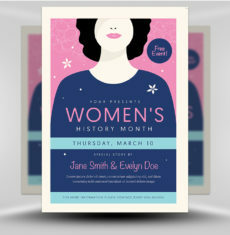 An interesting and modern twist to a traditional celebration. 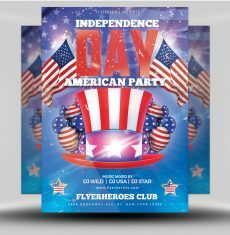 Perfect for promoting all kinds of Independence Day events, from concerts, gigs and community gatherings to modern and upscale nightclub parties. 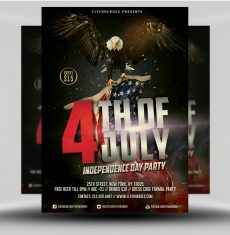 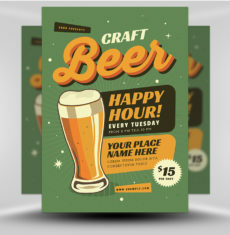 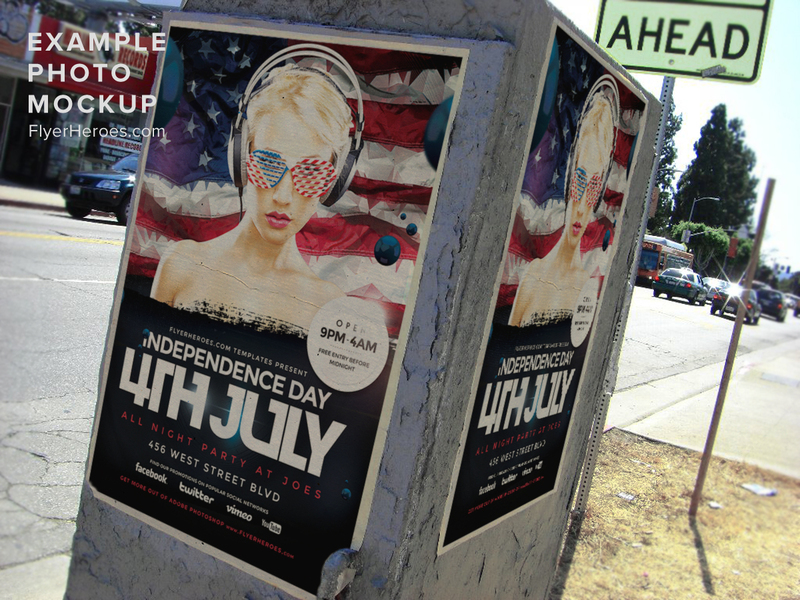 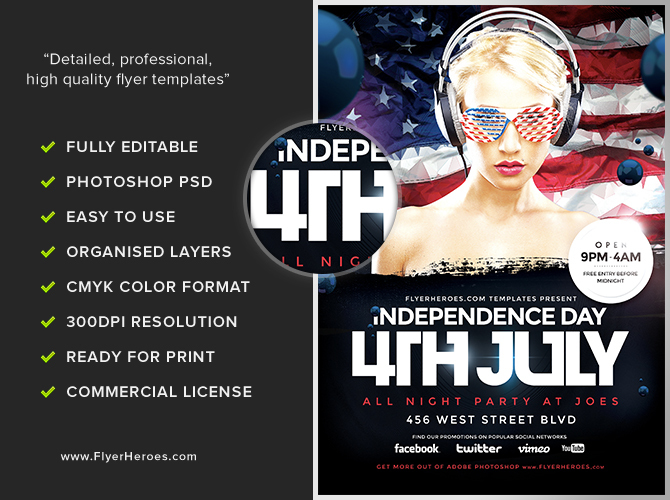 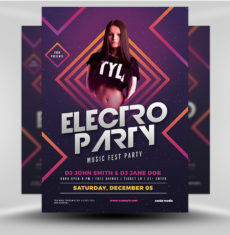 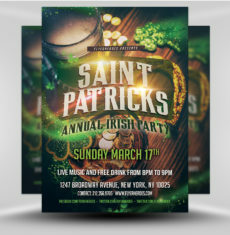 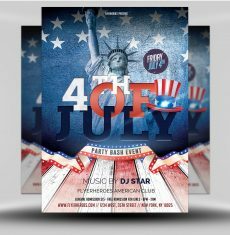 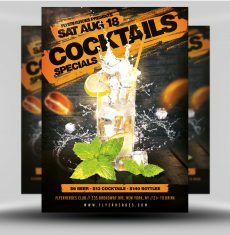 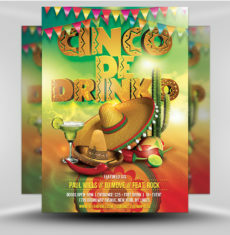 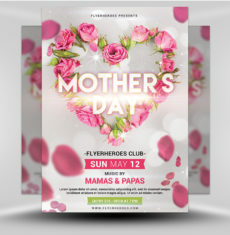 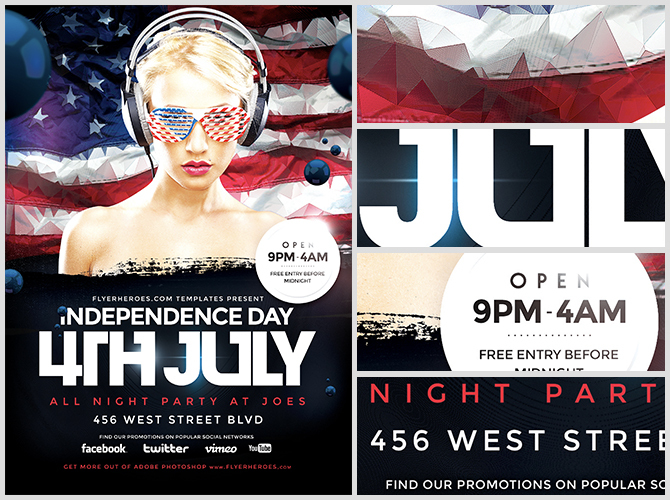 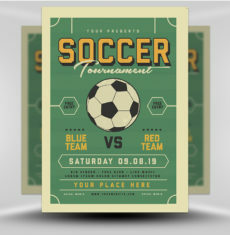 Geometric 4th July Flyer Template is a premium Photoshop PSD flyer / poster template designed by FlyerHeroes to be used with Photoshop CS4 and higher.